"elobf have reviewed some great albums in 2016 including "2" by Mudcrutch featuring (of course) Tom Petty and Mike Campbell, "Foreverland" by Neil Hannon and The Divine Comedy, "Sticky Love Songs" by Bubble Gum Orchestra (BGO) and "Bubbles" by Morganisation amongst not a few others. After due consideration, I'm pleased to confirm that the elobf Record of the Year is this year shared between "Sticky Love Songs" and "Bubbles". Both are great albums and well worth a listen with the former another amazing, top class production from the Blue Violin Studio of Michael Laine Hildebrandt with the latter a vibrant, classy reminder of the songwriting prowess of Dave Scott-Morgan and his extended musical family." 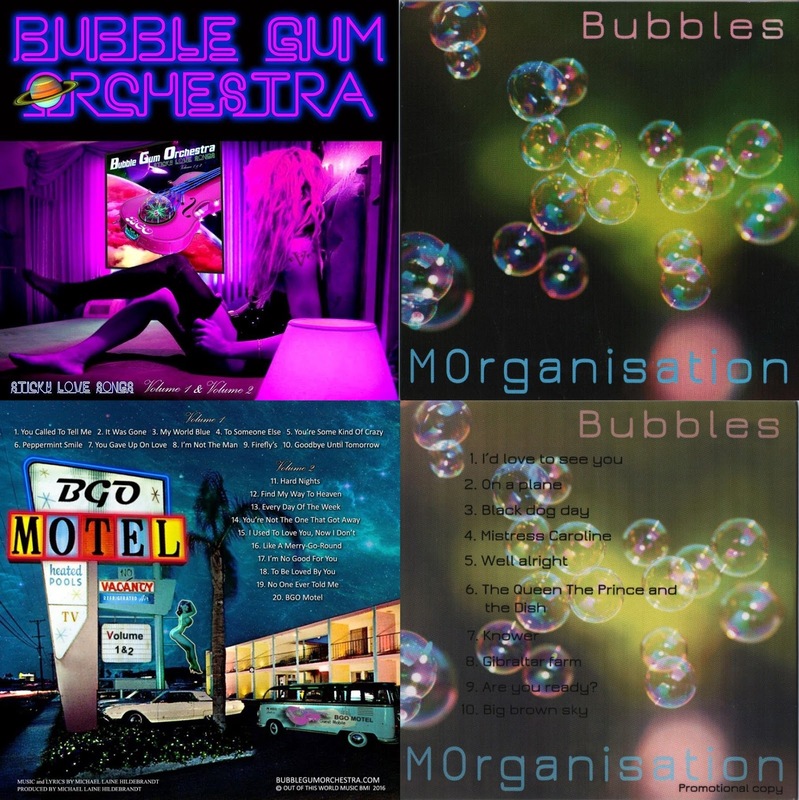 elobeatlesforever (elobf) recommends "Sticky Love Songs" by Bubble Gum Orchestra and "Bubbles" by Morganisation to those enlightened folks who enjoy the music of ELO, Jeff Lynne, The Move, Roy Wood, The Idle Race, 'Brum Beat', The Beatles and related artistes. These two albums are also in my best of 2016 as well, which I did on my Kuiama's Choice radio show, on KFM Radio last night. Two fantastic albums! Bubbles is an excellent album,totally penned by Dave Scott-Morgan,backed up with his well knitted band, Morganisation, I would highly recommend this album for all those music purists,and anyone with good musical taste.Bubbles is a great listen,and a great addition to anyone's musical collection.